Here is a promotional video that I prepared of a farm experience at "Bald Hills". We were fortunate enough to have my sister-in-law and brother-in-law and my cousin to come down and help out to brand, it was very much a family affair which makes it special, creating memories for all the kids. Everyone helped out wherever possible with both Leah and Andrea in the back forcing yards, bringing the calves up, Kurt and Ty to help out in the calf race, with Dave, Ray and Vince working on the calves in the calf cradle. We were blessed on the last day of branding to receive some rain which continued over the next four days receiving a total of 180ml. The Branding crew left on Saturday, leaving Leah and the kids preparing to head into Rockhampton for a two day cluster with Capricornia School of Distance Education Rockhampton Campus. The two day cluster enables both home tutors/teachers and students an induction and training process to allow them become familiar with their teachers this year and also the curriculum. Kurt is now in Grade Three with Kayla starting Prep this year. Sarah came back to Bald Hills to help with the transition for the new Governess/Teacher Emma-Leigh. Emma-Leigh has settled in already and the kids are enjoying their school work so far!! Fingers crossed their enthusiasm continues!!! A couple of weeks before Christmas, I was busily preparing approximately 60 acres to plant Leucaena, the Wondergraze variety. I have planted it in double rows, with eight metres between each dual row. Not only does Leucaena, improve your soil quality, but also has the ability for cattle to gain weight of 1.1kg per day. Since planting, we have been very fortunate for the paddock to receive 110mm of rain. This section is the start my plans to have a wagon wheel rotation with approximately twelve paddocks in the design. In the future, this design will be a self-monitoring weighing and drafting system in the paddock. Leah, myself and the kids headed up to Mackay to spend Christmas with all the family. As always, there was plenty of presents, food, drinks and even a special visit from Cowboy Santa and Mrs Clause!! We were lucky enough to have Bryan, Sue and Riley Granshaw spend a couple of days with us. Bryan is also a 2012 Nuffield Scholar who was in my Global Focus Group. The Granshaw family own a sugarcane farm near Ayr, where they have implemented dual row sugarcane along with intercropping with soya bean, and modified all harvesting and planting machinery accordingly. We had lunch down at the beach which was enjoyed by all. Starting tomorrow, we are going to make a start on branding this year's calves. Pictured below is one of the first cab off the rank, one of our stud calves. Time has flown since the arrival of Sarah in January for the appointment as a teacher at 'Bald Hills'. Even since arriving Sarah has been a blessing to all of the family, her dedication and loyalty will never be forgotten. Kurt and Kayla really enjoyed Sarah as a teacher this year resulting in their high achievements and efforts in their work. The last couple of days of school was filled with a surprise Christmas Concert, plenty of cuddles, (some tears shed by Leah) and a making of a Gingerbread house!! Kayla and Leah organised a farewell dinner for Sarah giving it a Christmas theme. Beau and Sarah have always had a special bond, he is still asking when is Sarah back?? Thankfully, she is returning for a couple of days in late January and also promised camping and weekend visits!! Leah and I wish Sarah all the best. Leah and I finished a fence-line to link up the Forrest side yards to the Home yards about a week ago which made moving the maiden heifers from one side of the property to the other trouble free. The kids also helped out in the afternoons after finishing their schoolwork. We have been lucky enough to have received 72ml of rain at the start of November and another 15ml of rain this morning. It has provided a huge relief and has given our pastures and legumes a great kick start to the summer season. 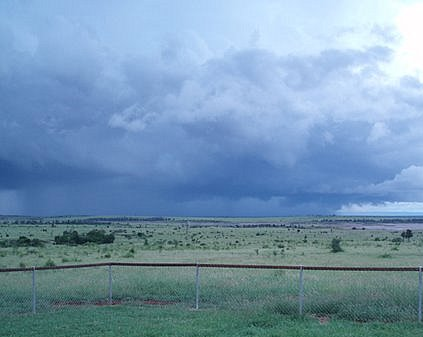 We are hoping that the storms will be reached by all over the next couple of days. Time has flown since I last updated my blog. Since then, Kerstin completed here six months work with us so Leah and Kayla organised a farewell dinner. Kayla has now joined Kurt and Sarah in the schoolroom completing her EKindy year with Leah and Beau now helping me with more paddock duties. Leah and I have been continuing the paddock rotations and started feeding the breeders with a molasses supplement. I officially completed my Nuffield Scholarship with the approval of my report and also the delivery of the certificate. The experience, knowledge and people that I have met throughout my Nuffield studies will never be forgotten. I was lucky enough to head over to Perth for four days for the Annual Nuffield National Conference Tour where I watched 19 Nuffield Scholar present their findings of their individual studies. A total of 21 scholars were awarded for the 2014 year with such a diverse group of people studying topics ranging from raspberry genetic mapping right through to fishing gummy sharks!! I congratulate them all and encourage them to acknowledge how privileged they should be to be associated with Nuffield. 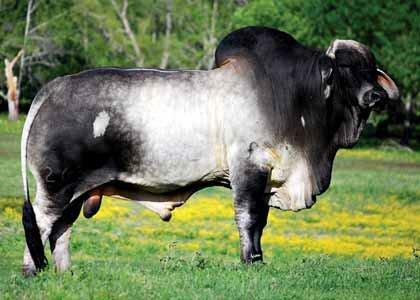 We are now seeing all the Brahman cross breeders calving with their Brangus, Simmental and Brahman bulls. This is one of the sires we purchased early on this year. We have dried off here, but are fortunate enough to have bulk feed and water. We received 12mls on the softwood side of the property and 25mls the forest-side hopefully this is a good sign of what is around the corner! 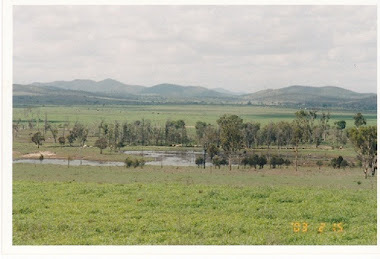 Together with my wife, we manage the family operated cattle property at Bald Hills, Marlborough, Queensland, Australia. We run approximately 3000 brahman cross cattle on 18000 acres. Nuffield Australia has awarded me a 2012 Nuffield Scholarship kindly sponsored by MLA. I would like to tour properties being run productively and efficiently and to implement their concepts back into Australian farming enterprises, with enough flexibility to suit every individual grazing capacity. This blog is a photo journal of my Nuffield adventures. One of the paddocks we fatten our bullocks on. Watching the wet season from the back deck. This is one of the sires we used in our IVF Progarm for our stud herd. Established in 1947, in the UK, the Nuffield program resulted from a bequest from William Morris (later to become Lord Nuffield) of the Morris car company. 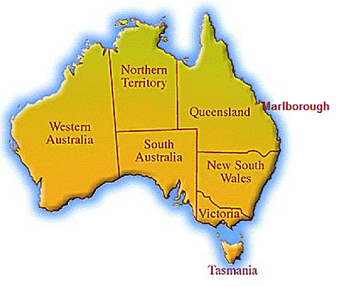 Nuffield Australia has awarded 21 scholarships to Australian Primary Producers for 2012. The scholarship program provides leading primary producers with the opportunity to travel overseas to increase their general knowledge of global agricultural issues and to gain skills to benefit their industry and business. westonfarmproduce | follow what's happening on Weston Farm, Tasmania. Food production & and the environment; where do we strike a balance?